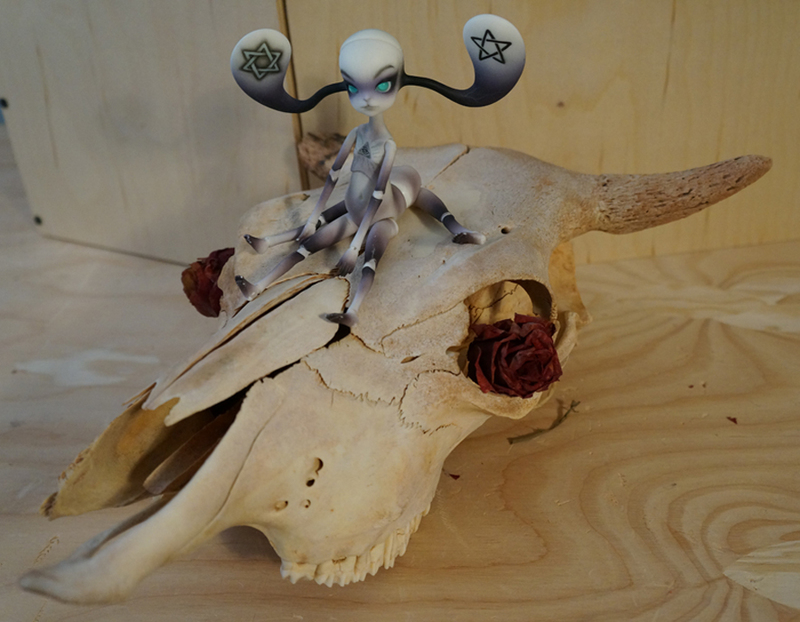 Nibelung, riding a skull dreaming of the day his master, Gilles De Rais, comes. He knows that someday soon the curtains will flew and then he‘ll appear. When that happens he knows that his appetite for destruction will find it’s true fulfillment in bloody mayhem. Until then he can only wait…. This entry was posted in Dolliecholia and tagged abjd, ball jointed doll, BJD, death, doll chateau, doll-chateau ada, skull. Bookmark the permalink.